The kata begins. Ich, ni, san, shi . . . and the count drones on. With each count the class executes another movement of the kata. In another dojo, same kata, same count but in this dojo each count elicits a response of a series of movements. Another dojo, same kata, same count, and yet a different sequence of techniques. Why? 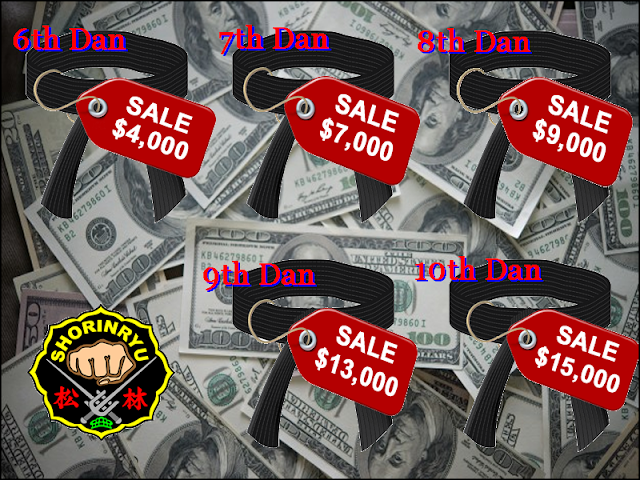 I've always wondered how dojo to dojo the kata are the same but the count is different. Learn it one way and then a different count/sequence makes you feel like a white belt again. The question is simple; Why the differences? There are several good answers: behavioral conditioning, classical conditioning, even "that's the way we've always done it." However these answers are all only partially correct at best. In nearly every school the count initiates a combination (i.e. block-strike or strike-block) sequence. They do this not because they have thought it through but because it "seems" right or "it just makes sense, you would block then stop before striking!" I just finished reading this month's edition of "Classical Fighting Arts" (if you're not subscribing you REALLY should be). 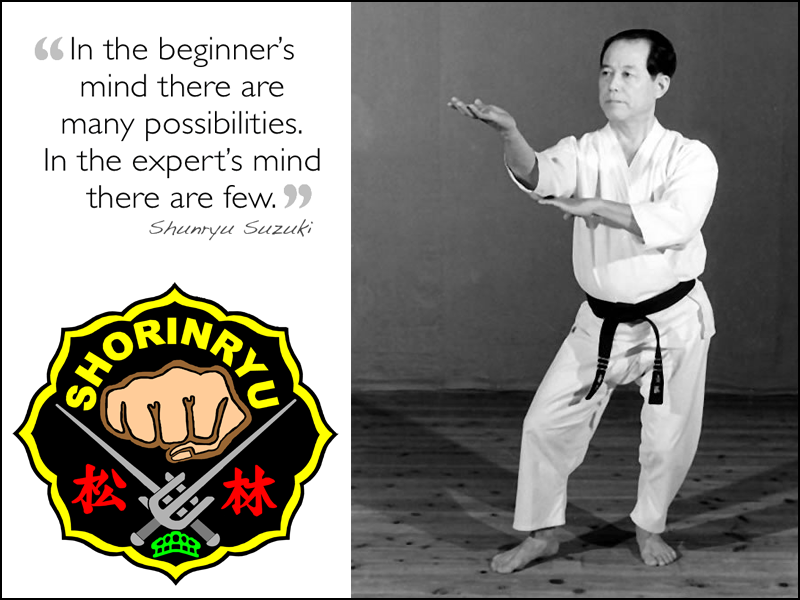 Graham Noble, in his article "Chosin Chibana's Shorin Ryu" quoted Shinpan Shiroma Sensei as saying "Each movement found in a karate do kata contains both the means of attack and defence." He then explained "until this is understood kata will appear as a pointless dance. When the purpose of kata is understood, that it contains the technique of attack, and defence, one will be deeply moved and excited by a kata performance" (Shinpan Shiroma, as cited in Noble, 2018). Therein lies the answer of count and sequence. If we practice true traditional Okinawan Karate-Do, i.e. "One Strike, One kill", if we practice true karate no point karate then the whole world is contained in just one count. Blocks ARE strikes and strikes ARE blocks. If a chudan-uke is delivered with sufficient force it is both block and strike. Think of the yakusoku kumites. We so often practice the dance but without really focusing on the point of the sequence. You can go as far as to say "karate ni sente nashi" is really saying "There is no first strike in karate because, in self -defense, the block is sufficient to disable your attacker so a strike, as such, is not needed." O'Sensei said "Ken Zen Ichi Nyo" (Zen and the fist are one) - they are. The study of karate without the study of Buddhism (you don’t have to convert) leaves it incomplete. Zen icons such as D. T. Suzuki advocate approaching everything, regardless of the repetition. Remember O'Sensei? Remember "Shoshin"? Translated it means "beginner's mind". If every technique, in every kata, is delivered with the solid intent to kill, then a "one-count" is sufficient. Yes, I know the one strike , one kil may sound antiquated and inappropriate in today's millenial, emo, politically correct, vegetarian approach to life, but we are talking about the 1500's on a little island 320 miles south of the Japanese mainland constantly subject to pirates, Samaurai abuse, and other such politically incorrect niceties of the day. One count, one technique equals One technique, one kill. The basics work best, lets go back and stick with them. Noble, G.(2018). Chosin Chibana's Shorin Ryu: His Legacy and Students, Classical Fight Arts, 56, (29-46). The rank would have to have been backdated to 2005. The idea was even floated for me to misrepresent myself as a rokudan and award him a godan ranking. This also involved changing the website to reflect my various, but non-existent, "promotions". I will say the amount of money discussed was significant. As a background to all this, my wife and I would really to move to Roan Mountain, Tennessee, so the timing of the offer was interesting. Many people believe if you have "Dr" in front of your name you are rowing in money. Let me assure you, as a teacher, nothing could be further from the truth. In point of fact, I make far less with a Doctorate than I did as a nurse with an Associate's degree. (plus still paying school loans). So, the proffered money would have been very welcome and timely. I am happy to say I never once seriously considered the offer. I do not think I could have lived with myself if I had. I discussed the offer with him in great detail, specifically why it was so wrong and why I could not, would not agree to it. At the end of a long drawn-out discussion, he agreed the whole idea was extremely inappropriate and he thanked me for refusing. However, he then asked that I not tell anyone which makes me suspect he will simply approach someone else. I suspect out-of-state, with the same, or similar, deal. So what's the point of this page out of my life? It's back to basics, again. Karate is more than kata, sparing, respecting your peers, your Sensei, your style, etc. The values we learn in karate apply to our lives, not just the time we spend in the dojo. Rank is a reflection of one's dedication. Not just to karate but to the spirit of the art, the spirit of budo itself. I think we could go so far as to say: "There is no "I" in karate". Selling rank is prostitution of the worse sort. The seller of rank is not just shaming themselves. They are representing, and shaming, everyone who trained before them. It's even more complicated than that. You can actually sell rank to yourself; the process is called self-promotion. However, the price for self-promotion is your own dignity and your sense of self-worth. Of course, if you suffer from Antisocial Personality Disorder (or merely antisocial leanings), it's sort of a moot point. I cannot imagine buying rank and then sincerely feeling "I deserved that!". That's like the people who purchase graduate and doctorate degrees, Then again, that's me. I guess not everyone feels that way. So, bottom line: no easy money. I guess I'll go back to filling out my VA Home Loan application. I wonder if "GoFundMe" would work???? Hi, I'm Dr. Michael Cox, I've been studying Shorin-Ryu, Matsubayashi-Ryu off and on since 1972. I am the webmaster for www.okinawan-shorinryu.com my goal is to post interesting information, data, trivia and history specific to Matsubayashi-Ryu. I will try to stay away from the dark side of karate, e.g. politics, who did what to who, etc. Ask your questions, post your comments but always use the same courtesy you would expect from others.